This Thai Cucumber Carrot Salad is a North American version of the famous Thai salad known as Som Tai. Traditionally made with green papaya this version uses readily available cucumber and carrot. They give the salad its’ desired crunchy texture and the sauce, made with lime juice and fish sauce, makes it uniquely Thai. Serve it as apart of any Thai meal and it shines. 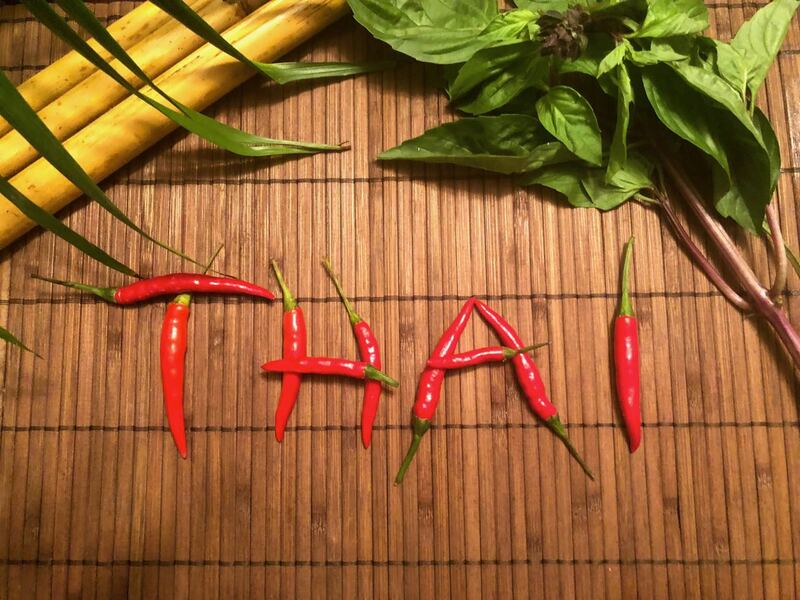 Thai cooking is all about the balance…sweet and sour with hot and salty. The dishes are all served together and complement each other in a harmonious layering of flavour upon flavour. Typically diners combine any of the dishes and condiments on their own plate to achieve the desired taste. In North America we tend to increase the amount of a main dish when feeding a large crowd. A Thai cook on the other hand would simply add more dishes. This strategy increases the possibilities for more unique flavour combinations. This Thai Cucumber Carrot Salad is a wonderful contrast to the richness of my creamy, coconut yellow chicken curry. The smooth, rich curry is enhanced by the sharp tang of this salad. It is a simple side dish not to be missed. If you enjoy Thai food you simply need to buy fish sauce. It is a naturally gluten free ingredient that is essential in both Thai and Vietnamese cooking. If you want to know a little more about this smelly sauce and you can read my post on gluten free fish sauce. I encourage you to make this salad as a part of your next Thai meal. If you are ready to create a Thai feast I posted a Gourmet Dinner Club Thai menu that includes my Intro to Gluten Free Thai Ingredients. Please share in the comments below. If you are new to Thai cooking let me know how what you thought was helpful. If you already love Thai then let me know your favourite dishes. In a bowl stir together garlic paste, lime juice, fish sauce sugar and chile stirring until sugar is dissolved. Thinly slice cucumbers crosswise and add to garlic mixture with carrot. Toss well with liquid. Serve on the table as part of a Thai meal or individually in soft-lettuce cups.